The BC EM Network connects BC emergency practitioners with each other and over 280 BC-relevant clinical resources. Within the network you’ll find peers sharing knowledge and supporting one another with information to improve patient care. The Network currently has 729 members and is growing! Our Rural Working Group provides a critical rural perspective and input on Network clinical resources. In collaboration with RCCbc, 14 rural members from across the province review and modify the resources when necessary, to ensure are relevant to all BC practitioners, no matter where they practice. 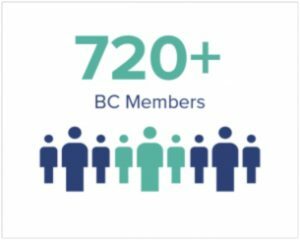 Our Patient Partners are providing input on all 86 Patient Information Sheets found on the Network website – a first in BC! The revised sheets will be accessible to all emergency practitioners and patients across BC through the EM Network website. Next step will be to ensure they are translated accordingly into additional languages. Virtual Health enables BC emergency practitioners to connect digitally and provide on-demand consultation to provide better emergency patient care. The EM Network Real-Time Support Program is working to make virtual support available for all emergency practitioners across BC and is forming a working group to determine clinical best practices to guide this new way of delivering emergency care. If you are interested in providing input on how this rapidly growing field can benefit EM practitioners, please contact Sharla Drebit, Network Manager, at sharla@bcemergencynetwork.ca. If you haven’t yet joined the BC EM Network – REGISTER NOW! Really Rural Surgery qualifies for Canadian CME/CPD credits! Login to your CFPC account and add it to your list of MainPro education activities. Rural Rounds is back with a new 2018-19 series! 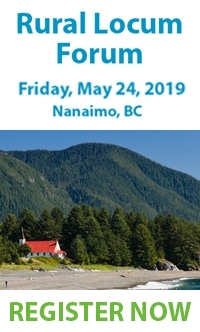 Visit the UBC Rural CPD web site to register for Rural Rounds or contact Hadas Haft via email or phone at 604-875-4111, ext. 24601. To learn more about this innovative ultrasound course, or to invite it to your community, visit the HOUSE web site. The Enhanced Simulation of Critical Care and Perioperative Emergencies (ESCAPE) Course is a one-day, high fidelity simulation program that focuses on building team dynamics to optimize crisis resource management in the rural perioperative setting. This course is for FPAs, nurses, and teams who work in rural communities. Contact Nicole Moon bring this course to your community! Visit the updated and improved RCCbc's Educational Calendar to find CME/CPD near you.